From John Dickson & Son catalog. 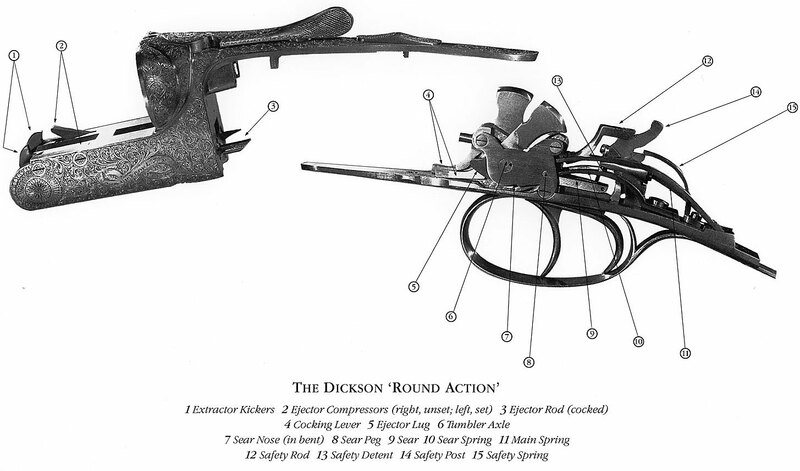 Triggerplate Action or Round Action - Originated by MacNaughton, furthered by Dickson and then by David McKay Brown. The lockwork is behind the receiver, mounted to the triggerplate. 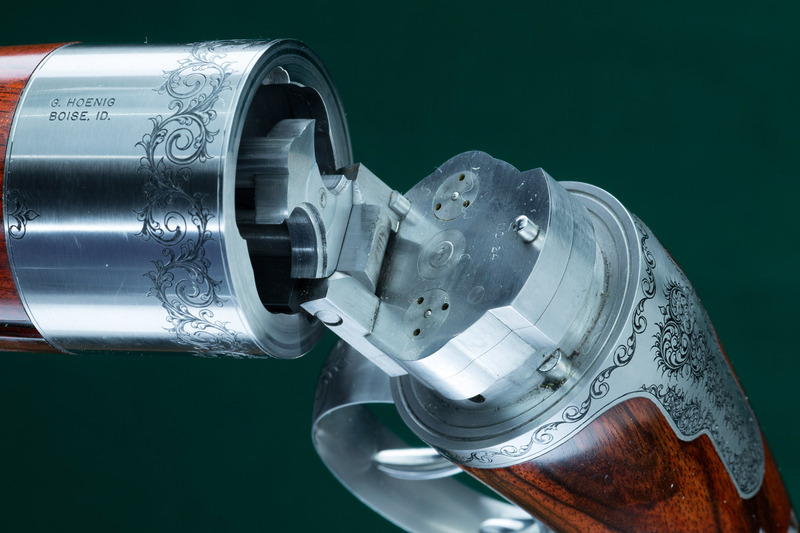 Little steel needs be machined from the bar of the action, allowing it to be smaller and more streamlined than Anson&Deeley or Sidelock actions---truly rounded on the underside---while maintaining required strength. 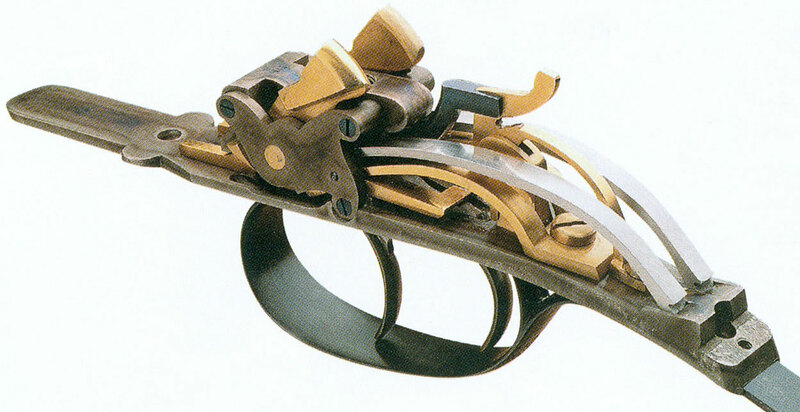 And, less wood needs to be removed from the head of the stock than with a sidelock action, strengthening the wood-to-metal connection.